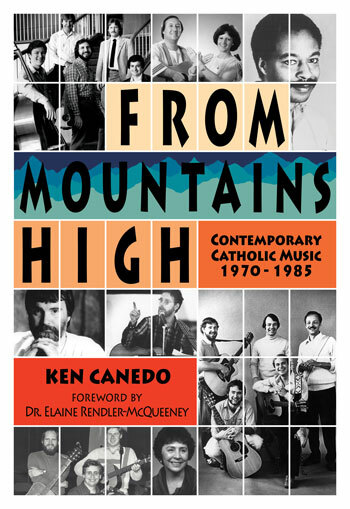 From Mountains High examines the expansion of liturgical music through the 1970s and early 1980s. It follows the artists that shaped our view of hymns and worship songs, chronicles the rise of NALR, as well as OCP, GIA, WLP and the National Association of Pastoral Musicians, and examines the interaction between mainstream culture and the cultures within Christianity. This volume of Catholic liturgical music's history begins after the challenging rollercoaster ride that was the 1960s. Ken had outlined the changes that would be made, both stylistically and culturally, in his first book, Keep the Fire Burning. In that turbulent decade, young people would begin to gather in massive quantities, modifying and reinventing worship music. The counterculture would spread to every corner of society. And after all the 'radical' movements, after all the earth-shaking changes that stemmed from the Second Vatican Council, the liturgy would come out revitalized on the other side. Yet, one question remained on the minds and in the hearts of those who enacted such change: Where do we go from here? To understand the music that we sing in church today, we must first understand the stories of its composers. In this book, the lives of today's most popular and renowned liturgical musicians are examined. The St. Louis Jesuits break new ground by presenting Scriptural texts in a compelling contemporary folk sound. Composers Bob Hurd, Michael Joncas, Marty Haugen and David Haas reform the landscape of liturgical music. Carey Landry and Carol Jean Kinghorn shape a younger generation of Catholics. Monks of Weston Priory utilize meditative sound and simple guitar accompaniment to blend traditional and contemporary styles. And Hispanic music ministry, led by such pioneers as Cesáreo Gabaráin, Mary Frances Reza and Pedro Rubalcava, revitalize the sound and spirit of liturgical music as the Spanish Mass proliferates across America. Ken Canedo's writing style is academic, yet casual. His goal, above all else is clarity, as he seeks to tell a story that will be accessible to audiences young and old, religious and secular. He succeeds in filling in a gap of history — part of our past that seems to be forgotten, even if it coincided with some of the most controversial and eventful decades in recent history. Ken tells us, essentially, that during these times of turmoil, societal upheaval and rising counterculture, liturgical music faced its own identity crisis — one that now serves as the foundation for our worship songs today. from renowned liturgical composer, David Haas! from author and journalist, Susan Bailey! from Ed Langlois, of the Catholic Sentinel!